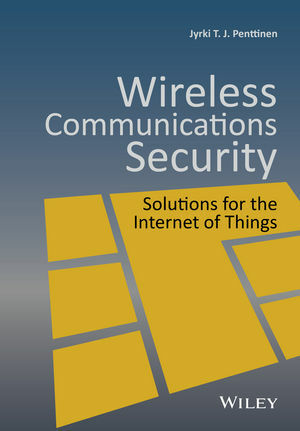 This book describes the current and most probable future wireless security solutions. The focus is on the technical discussion of existing systems and new trends like Internet of Things (IoT). It also discusses existing and potential security threats, presents methods for protecting systems, operators and end-users, describes security systems attack types and the new dangers in the ever-evolving Internet. The book functions as a practical guide describing the evolvement of the wireless environment, and how to ensure the fluent continuum of the new functionalities, whilst minimizing the potential risks in network security. Jyrki Penttinen has worked in mobile telecommunications with network operators and manufacturers since 1994. He has theoretical knowledge and operational experience of end-to-end architectures and functioning of major mobile communications systems, including GSM/GPRS/EDGE, UMTS/HSPA and LTE/LTE-A with their respective evolution paths. He has worked in research and operational activities in both radio and core network domains, including planning, optimization, measurements, system architectures and services. He joined Giesecke & Devrient Mobile Security team in 2014, currently focusing on the security solutions and future trends of the industry.